1 – What is a Composite? Composite materials are created by combining two or more constituent materials with matrix materials to create a stronger and higher quality composite more suited to the required application. The constituent materials often have very differing qualities, either physically or chemically, which complement each other as a composite. The original components remain distinctly separate and can be clearly seen in the finished material. This separation of materials is what defines the finished product as a composite rather than a mixture or solution. The composite material will be designed and produced to have a reinforced structure sometimes with increased rigidity for durability and strength. This is often achieved by layering the reinforcing materials in different directions or unidirectionally. There is nothing new about composite materials. They have been used in varying forms throughout history whether it being the combination of mud straw and clay to build early housing, combining woods with bamboo and bone to create tools, utensils and weapons, to now being used as nanocomposites for biomedical applications. The evolution of composite materials is an interesting one; it is ever changing and found in all industries on all scales. Bakelite is considered to be the first plastic, created in the early 1900s, and was largely favoured and greatly successful due to its non-conductivity and its heat resistance. Following Bakelite came fibre reinforced polymers progressing towards fibreglass due to the demands for light weight defence machinery and aeronautics after the second world war. The Boeing 707 being the first passenger aircraft to have 2% of its structure made from fibreglass in the 1950s. 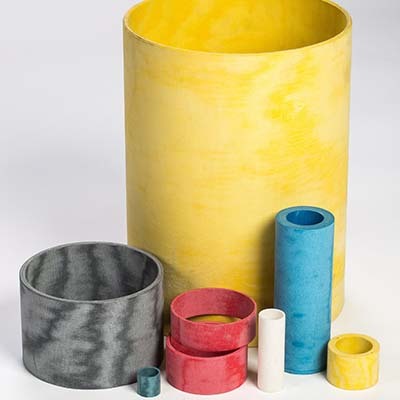 The 1950s brought a demand for commercial composites (Bakelite and Phenolic Cotton) on a much larger scale for use in the household and the1960’s brought carbon fibres used in many industries. There are few limitations to composite materials and many large manufacturing companies, governments, university research centres and stakeholders are constantly investing in research and development. There is, nowadays, a trend towards developing composites for renewable energy such as bigger and better wind turbines. There is also much investment into nanocomposites particularly for biomedical research and development. Large industrial sectors in which composites continue to play a huge role are the Marine, Automotive and Aeronautical sector in which the potential of composites is endless, and the future is extremely exciting. The true potential of composite materials has far from been fully exploited but what we can be sure of is that composites have been around for many years and are sure to continue. Material combinations, research and fuller understanding will only increase and improve as research and investments continue to be made. Fibre-reinforced Polymers (FRPs) – This is a material made with a polymer matrix which is reinforced with fibres; mainly glass, carbon fibre or aramid fibres. Uses: Fibre-reinforced polymers are commonly used in aerospace, automotive, marine and construction. This is largely because they are strong, durable and long lasting, made to exacting specifications and are usually very low weight and are therefore energy efficient. Synthetic Resin Bonded Fabrics (SRBF)- materials in this category are found in the composite bearings manufacturing industry, again using a polymer matrix often filled with solid lubricant additives and reinforced with fibres such as Polyester, Nomex or in some instances natural fibres such as Cotton or Jute. Uses: Tufcot SRBF Composite Bushes, Bearings, Wear pads and other wear components are used in a vast number of industries and equipment around the world, it’s often used to replace conventional bearings to reduce maintenance, or in environments where conventional bearings would not be suitable or in designing equipment where the materials properties can be exploited to their maximum or unique capabilities. Glass-reinforced Polymers (GRPs) – Glass reinforced polymers are also known as fibreglass. These are plastics which are reinforced with glass fibre. There are many benefits to using GRPs for suitable applications such as the high corrosion resistance, strength & high impact resistance, low weight, non-conductive properties, ease of fabrication and low maintenance. Uses: Glass-reinforced polymers are used in numerous applications, particularly in industrial gaskets, as insulation and to protect machinery and ensure safety. Typical applications include chemical industry, docks and marinas, manufacturing, food and beverage industries, automotive, marine, aerospace and many more. Shape Memory Polymers (SMPs) – Shape memory polymers are able to return to their original state even after becoming misshapen or deformed. Uses: Shape memory polymers are commonly used in industrial applications such as window frame seals, sporting equipment, engines and much more. They are also used in phototonics and fibre optics which is leading into the medical sector in which shape memory polymers are in their infancy with huge potential. High Strain Composites – High Strain composites are designed to be able to withstand extreme weights and heavy loads. There is an element of flexibility within the composite as it often changes shape with the weight of the load and has a stable shape when not weight bearing. Uses: High strain composites are commonly used in aerospace and defence due to the high reliability, stiffness, stability and cost effectiveness. Metal Matrix Composites (MMCs) – Metal Matrix composites are composites of two or more materials; one is always a metal and the other can be another metal or other material for low density and high strength. Uses: Metal Matrix composites are commonly used in Space Shuttle components, commercial airliners, electronic substrates, bicycles, automobiles, golf clubs, a variety of other high-end sports equipment and other applications. Ceramic Matrix Composites (CMCs) – Ceramic matrix composites are ceramic fibres embedded in a ceramic matrix. Carbon and carbon fibres can be considered as ceramic materials. CMCs are designed to overcome the traditional weaknesses of ceramic materials such as fractures, scratches, defects and breaks. 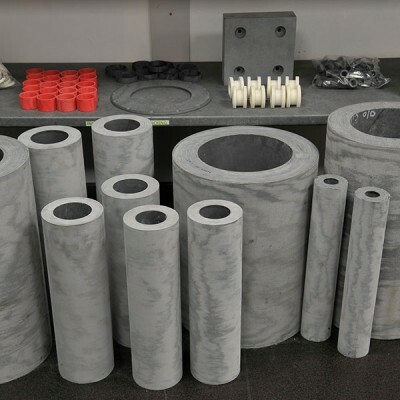 Uses: Ceramic matrix composites are favoured in applications for space vehicles, gas turbines, combustion chambers, turbine blades, high performance vehicle brake discs and slide bearings amongst other applications. Sandwich Structure Composites – A sandwich-structured composite is a composite of two materials sandwiched over a weaker and more lightweight core material. Commonly the core material has a honeycombed structure and when combined with the stronger outer sheets great strength is achieved. Other typical core materials can be synthetic foam or light woods such as balsa wood. Metal composite material (MCM) is a construction of two metal sheets with a plastic core. The strength depends on the outer sheets and the interface between the outer sheets and the core. Uses: Sandwich structured composites are commonly used in aeronautical structures such as helicopters and aircraft engine nacelles, the marine sector, solar panels and flooring. Sandwich structured composites are also extensively used for packaging, particularly of cold food goods, due to the cost effectiveness and the fact that it has good insulating properties. Engineered Wood – Engineered wood is a combination of different wood derivatives carefully selected to aid strength and durability while overcoming the common problems of natural woods such as knots, bowing, contraction and splitting. The wood fibres are bound together with a fixing agent such as adhesive. Hard wood is often combined with a softer wood as this is a cost-effective way to get the strength of hard wood without the cost. Wood waste such as saw dust and shavings are also used to create engineered wood. This is an excellent way to manufacture particles, that would otherwise be waste, into a strong composite useful in many industries such as commercial construction, furnishings, flooring and more. Uses: Engineered wood is commonly used for flooring, sub flooring, ceilings, kitchen and bathroom units, packaging, furniture and much more. Laminates – Lamination is the process of layering different materials with a fixative in order to achieve a superior composite with heightened strength and durability designed to be suited to particular applications. There are many variants for the original materials and the combinations used to create the final product. Uses: Lamination is common for wooden floors and furnishings. Carbon-fibre reinforced plastic is a type of laminate which is commonly used in such as aerospace, and commercial airliners also high-performance automotive vehicles and motor sport (F1 and similar) due to the strength-to-weight ratio. Glass-reinforced plastic is another type of laminate which uses glass fibres which is often used to give better strength to weight ratio’s than some metals and much cheaper to use. This is commonly used in insulation, piping, wind turbine rotor blades, water slides and much more. Isotropic – Isotropic composites have the same physical properties when measured in any direction. Isotropic composites are favoured where strength is the main feature. Anisotropic – Anisotropic composites have differing physical properties when measured in different directions. Anisotropic composites are favoured when flexibility and a range of movement is required. Orthotropic – Orthotropic composites are of the same family as anisotropic composites because their physical properties differ when measured in different directions. Orthotropic composites have material properties which vary along three directions. This is most common in fibrous or grained materials such as cold rolled sheet metal or wood, where strength can vary between one outstanding part, the composite and the axial, radial and circumferential direction. Orthotropic composites lend themselves perfectly to applications where a certain amount of elasticity is required. The structure of composites depends largely on the materials used and the bonding methods applied. Other factors include the shape and orientation of the dispersed phase inclusion. 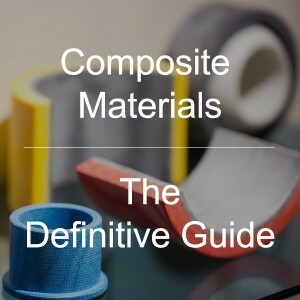 What are Composite Materials Used For? Composites can be used for practically anything. There are so many varying types of composite materials that they provide a solution for many applications in many industries. Composites are well suited to many applications in aerospace largely due to the versatility, strength, fatigue resistance and low weight. Once the necessary equipment has been purchased and the prototypes are designed and ready for use, composites are extremely cost effective for the automotive industry. They can be designed with many of the necessary requirements in mind to meet industry legislative requirements, particularly regarding safety and crash test performance. Thermoset composites absorb up to twice the energy of traditional steel and thermoplastics can absorb up to eight times the energy of steel. Composites also have the important benefit of being very low weight therefore far more fuel efficient and more easily recyclable. Uses: Composites are used in all parts of both industries. In Aerospace, composites are particularly commonly used in the wing structure and complete wings, fuselage and fairings, the aircraft nose. In Automotive, composites are used throughout the cars. It is a very effective way to reduce the weight and therefore save energy and production costs in both industries. 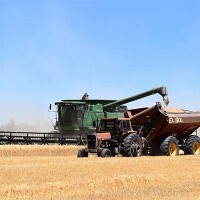 Many typical composites are resin bonded fabric reinforced bushings bearings and wear pads used for many different applications in agriculture, especially in the very demanding and hardworking machinery. Uses: Typical uses for composites in agriculture are in such applications as the combine harvesters, balers, pea harvesters, mowers, spraying equipment, heavy duty tractors and trailers and much more. The composites can be designed specifically for the demands of the job in hand. They are self-lubricating and durable with low friction and wear. This reduces the need for costly and time-consuming maintenance and increases the life span of the machinery. It also reduces the noise of the equipment when in use. Quality and safety is heavily regulated in the food and beverage industries worldwide. It is therefore imperative that all machinery, equipment and packaging is monitored to meet regulations. Composite packaging can be designed to meet the exact requirements of different food types and aid in the safe and hygienic transportation and preservation of foods. Composites are widely used in the machinery which produces processed foods as it can be odour-free, corrosion resistant and sterilised. Uses: Composite materials are used for autoclaves used for the sterilisation of equipment used in the food industry. Other applications include the packaging, filter plates, scrapers and conveyor belts and guide strips. 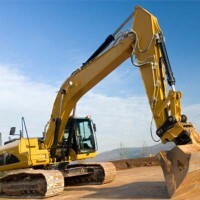 Hydraulic compatible composites have been designed to have high-load capabilities, low friction and a very long-life span with no swell and offering excellent hydraulic fluid compatibilities. Uses: Typical applications in the hydraulics industry is for wear rings and bearing strips for use in hydraulic and pneumatic cylinders. We can custom make parts for different applications such as bearings and wear strips which operate in non- standard fluids. 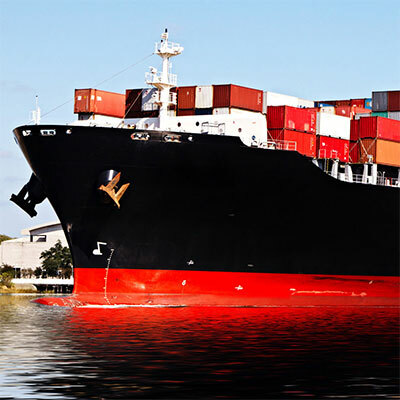 Resin bonded composite materials are ideally suited for the Marine sector. Tufcot have created the Tufcot® T100 MP specifically for the Marine environment with many specific factors in mind. Uses: The Tufcot® T100 MP is commonly used in rudder and pintle bushes in the Marine environment, it can be water, oil or grease lubricated and equally efficient in dry running conditions. Tufcot® T100 MP is typically used in watertight door bushes, deck winch bearings, anchor sheave bearings, deck crane bushes and bearings, stern roller and many more applications both above and below the water line. Mechanical handling or otherwise known as material handling is the method in which materials are moved, stored, controlled and protected in manufacturing, distribution, consumption and disposal processes. Many maintenance needs and causes of downtime can be avoided by choosing composites rather than traditional metals. Composite polymers are designed not to rust, need less or no lubrication they are water and UV resistant and offer lower wear rates than metal bearings. There are many ways in which composite materials are proving valuable to the medical world. One example is for prosthetic limbs or bone implants. There is evidence that using carbon composites can encourage natural healing of the surrounding damaged cells or ligaments. The composite can be designed to the patient’s exact requirements and matched to their measurements and shape ensuring a lifelike limb which functions almost as well as the skeletal limb. Uses: Composites are widely used in medical equipment such as x-ray machines, various scanners, surgical tools, mobility aids and much more. There are numerous benefits including the fact that composites can be designed to be x-ray transparent, strong and light-weight, heat-resistant and moisture resistant, can be designed to mimic the bodies natural movements and have a very long-life span. Composite materials have become increasingly common in applications in the mining, oil and gas sectors. This is largely due to the high cost of using more traditional steel or other metals and the benefits of using composites in its place. Composite material is far less likely to need costly maintenance or parts replaced. It is corrosion resistant and has a far better weight to strength ratio. Composites have proved far more reliable, much safer and less costly. Tufcot provide the Tufcot T400 range which is a fire-retardant grade of resin; crucial for these potentially dangerous environments. Uses: Typical uses in these industries include wear sheaves, gears, conveyor rollers, BOP system bushings and wear pads, drill string handling equipment, piping systems and much more. Many different types of composites are used for each application. Glass fibre reinforced polymer composites are, for example, used for piping systems because of the tolerance to extremes in temperatures, pressures and extreme weather conditions. Another example is the use of composites on the tipping hinges of Iron ore cars in mines. For this application Tufcot provide the perfect material. It is a self-lubricating composite which can tolerate loads of up to 800kg/cm². 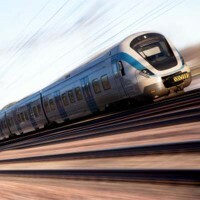 The most commonly used composite in the rail industry is fibre-reinforced polymer composites (FRPs). This is because the labour cost and time is significantly less than more traditional materials and it is perfect for many applications including, platform systems, vestibule pods and much more. Tufcot provide the Tufcot T200 range which can be used in certain applications where slightly higher operating temperatures may be experienced. Uses: FRPs are used on the lineside, exterior and interior panels of trains and can be specifically designed and manufactured for the application remotely and then installed quickly and efficiently. This reduces disruption to running times and can easily be installed out of normal business hours. Composites are now also being designed to be graffiti proof and fire retardant leading to huge cost savings long-term. Uses: Structural engineers often favour composite materials for such applications as interior and exterior cladding, rain screens and curtain walls, framing, insulations, roofing, bridges and much more. As with most industries composites are commonly preferred for their ability to be cost effective, reduced use of energy, long lasting, durable and efficient. Many of the parts needed in textile, print and paper machinery are high-pressure laminates, low-pressure laminates, tubes, flexible materials, machined parts and auxiliary materials. Uses: Typical applications in the textile, printing and paper sector are dye vat bearings, doll head bushes, gears for looms, felting rollers, sheaves and paper mill bearings. Relatively new to the market – Lots yet to be learnt and improved upon. This takes time and money to achieve. 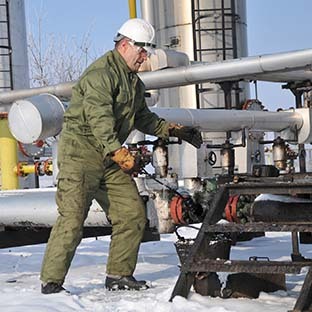 Risk of delamination – where two or more materials are connected, there is risk of delamination due to potential air pockets and insufficient compression or temperature. When delamination occurs, the composite is at risk of further delamination, weakening and becoming unsuitable for application. Matrix perpendicular or parallel cracks most commonly occurs from excess stress which exceeds the matrix strength. Delamination can also occur when unsuitable materials are used as the matrix. This can be overcome by changing the matrix or strengthening it with an alternative higher strength reinforcing material. Complex fabrication – Some composites can be extremely simple and effective for their purpose, yet the range of composites is so vast that others can be extremely complex, and the fabrication process can involve hours of development, research and production. That involves expertise, time and money and, as in the case with any new product, the testing can have limitations in how much is fully understood about the new composite product, its durability and its performance across its lifespan. High cost of raw materials – Depending on the type of composite in question there are many factors that influence the cost of the raw materials. These include the resin, fibre, consumables, labour and machinery. There are, of course, other costs to consider such as implementing regulations, research, quality control and other considerations. Repair costs – While all efforts are made in the production of composites for there to be little need for repair, when repairs are necessary they can be expensive. It can sometimes be difficult to identify weaknesses and damage to composites once in place but there is a method used called Non-Destructive Test (NDT) which identifies damage that is not visible to the naked eye or areas that are difficult to reach. It is worth noting that the risk of repairs and maintenance is not exclusively associated with composite materials. It is in fact far more common where non-composite materials are used. The whole point of creating composite materials for parts in so many industries is that they can be designed with their exact purpose in mind. The gives the designer freedom to consider every factor of the demands and expectations placed on each part. Composites can be stronger, more durable, much lighter and more suited to extremes in environmental factors such as temperature and exposure to moisture. Labour intensive – Due to the very nature of composite materials being manufactured they involve a certain amount of man hours and specialist machinery in the many stages leading to production. This can become costly. However, as composites become staple products in all the industries they are commonly used, these costs reduce. The developmental and research stage is largely completed, apart from any noted improvements that can be made, and over time composites prove themselves to be suited to their application. The production stage becomes the most efficient part and with each new composite that is created, knowledge is drawn from previous research. 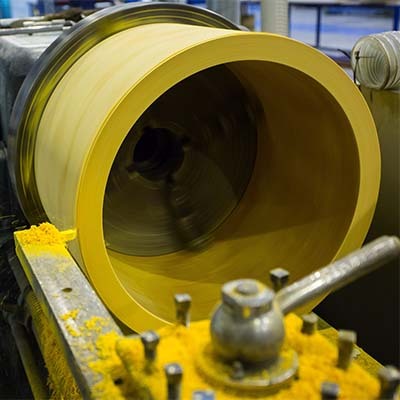 Tufcot® bearings are resin bonded fabric reinforced composites developed with unique properties to suit many bearing applications in different market sectors. Our bearings can be self-lubricating and ensure an increased life span and improved performance. The resins are often blended with friction modifiers such as graphite, PTFE or molybdenum di sulphide or a combination of these. Tufcot® composite spherical bearings are suited to a wide range of market sectors for both inner and outer housing. Our inner rings can be split before or after machining and our Sphericals can be mounted in the housing. They can be drilled and grooved if extra lubricant is required. This makes them saltwater proof making them an ideal component to use in the marine sector where risk of corrosion is otherwise high. Tufcot produce many thrust washers, bearings and gaskets including simple spacers, plain washers, thrust washers and bearings. Tufcot® wear rings are manufactured from a resin-impregnated fine weave fabric reinforced with added solid lubricant which is capable of withstanding high loads and has good vibration and damping characteristics. It is also compatible with hydraulic fluid mediums. Our wear rings are perfectly suited for use in heavy duty hydraulic cylinders as they are subject to high loads. 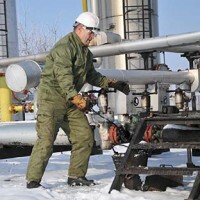 They are also commonly used in mobile and offshore hydraulics. The high compression strength, sliding ability and wear resistance of our wear rings and bearings guarantee a long-life span with minimal need for parts replacements and maintenance. Tufcot wear pads can be produced from any of our range of material grades. They can have solid lubricants incorporated making them self-lubricating. The solid lubricants we use are graphite molybdenum di sulphide, PTFE or a combination. We have the necessary expertise and equipment to provide wear pads of all sizes; finish machined, drilled and grooved to our customers’ specifications. Tufcot produce custom parts designed and manufactured to customer specifications from our range of material grades in a variety of dimensions. 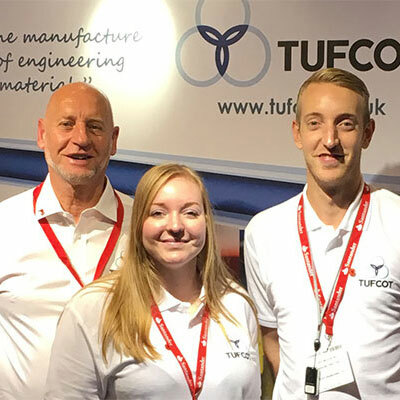 Tufcot provide sheets, tubes and rods for those who prefer to do their own machining or through an external contractor. Composites are often chosen for their strength. Strength can be manipulated to suit the application through the combination of resins and reinforcements and the direction in which they are arranged. Specific Strength – The weight-to-strength ratio. Tensile Strength – how much stress the composite can tolerate before it reaches breaking point. Shear Strength – How much the composite can resist strain when layers shift or slide. This is particularly applicable to laminated composites. Compressive Strength – The effect of compression and flattening on the material. It is important to know the compression limitations before a composite is chosen because excessive compression can lead to breaks, fractures and deformity. It is important to consider all factors when choosing composites for different applications as fibre and resin combinations can be adapted to suit specific requirements if those requirements are known and understood form the offset. As composites are used in such a great variety of applications and so many industries it is important to know the purpose for which it is being applied and the applications specific requirements. 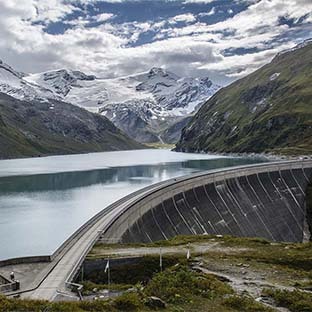 Generally, composites are the preferred material for many applications because of their strength, weight, resistance to extreme weather, corrosion and chemicals, flexibility and durability. We, at Tufcot, have a wealth of knowledge and experience in being able to advise you on the best suited composite for your specific application. The very nature of composite design and manufacture means there is reduced waste, minimal need for maintenance and parts replacements and a vastly increased life-span compared to more traditional materials. These factors all contribute favourably to an economical alternative. You can have full confidence that all factors mentioned above have been taken into consideration in the engineering process of Tufcot composites. We have a wealth of knowledge and experience in the production of industry specific composite materials. Our process department is split between the tube or rod manufacturing section and the sheet laminating section. Our laminating department follows the same initial procedure as the tube or rod, but the process later changes before its initial curing phase which again follows the same procedure as the tubes in the curing oven. Tube and rod preparation involves trimming the ends of tubes and removing the rich resin outer surface. Laminate preparation involves sawing, sanding trimmed to size laminate sheets to the required thickness. We have a wide range of CNC lathes and machining centres which allow us to machine parts to custom or bespoke drawings. Our CNC milling and routing machines allow us to make wear pads, wear strips, guide strips, bearing blocks and structural bearings. Finishing involves removing flash to ensure edges are clean and smooth for a more polished finish. Final Inspection is completed in a temperature-controlled environment. In many instances final measurement is completed on our CMM machine. Products are dimensionally checked and quality control is rigorous to ensure we meet our high internals standards as well as industry standards and customer requirements. We offer 3.1 and 3.2 test certificates. We are ISO 9001 accredited and we take quality extremely seriously at Tufcot. All our procedures and quality manuals are up-to-date and in place. Our quality procedures ensure efficiency and transparency at all stages of our services. We always aim for the most suitable and cost-effective packing method and packaging. We are conscious of reducing cost and waste for our clients and the environment. Once an enquiry has been placed our aim is to reply to that enquiry with a quotation within 24 hours unless of course there are more complex requirements or if further discussions are necessary. We always aim to be able to answer any questions from clients, so our R & D team are always on hand. Our R & D team work closely with our technical team. Essential to our R & D program we have invested in a custom-made Journal bearing test rig which allows us to qualify new materials and plan for future developments in Tufcot grade composites. We work closely with The University of Sheffield and have access to their research centre and we have students and specialists alike working alongside Tufcot on many exciting projects. Our philosophy is to constantly invest in research and development projects. We know this is an extremely competitive market and we also know the potential of composites for so many industries. We love being part of that and we are passionate about producing the very best material for many applications. Our production has a very high success rate for on-time delivery and low lead times. We closely monitor and review the stages between customer enquiry to dispatch and are proud of our production team’s efficiency, quality and professionalism.